Pencil, pen and ink, watercolour and body colour, and tracings. 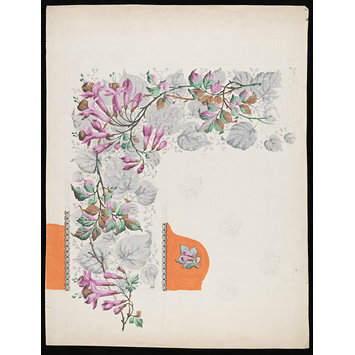 This design seems to be a late impression from a woodblock, to be used to produce Victorian revival printed fabrics. 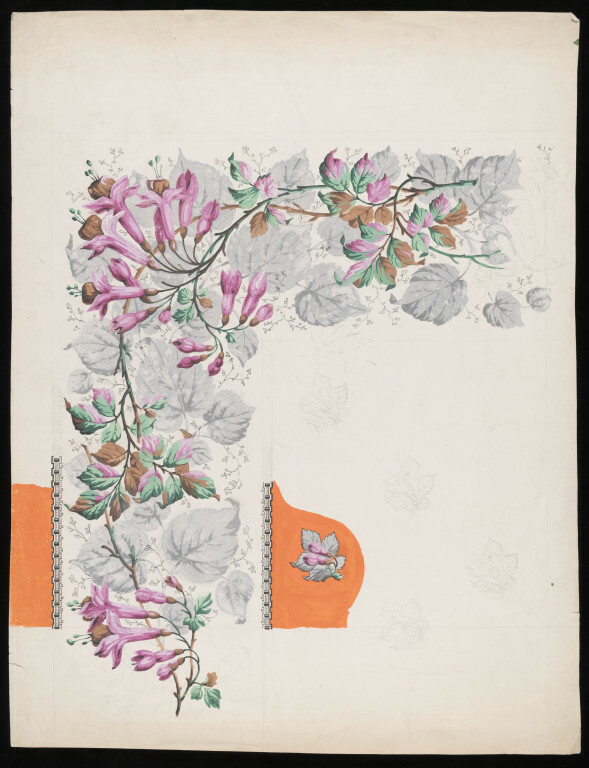 Design for a shawl with a border of fuchsias and rose leaves. Design for a printed shawl. Anonymous, ca. 1850.